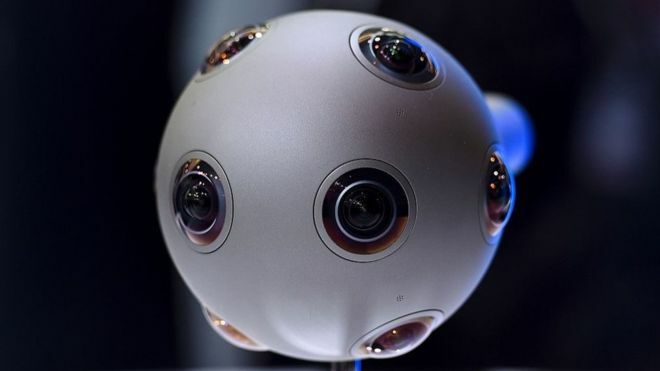 Nokia is winding down its high-end virtual reality camera division. The Ozo and its follow-up the Ozo+ had been marketed to professionals as being able to capture the "highest quality" 360-degree footage possible, and had been used by Disney among others. But despite a recent price cut, the Finnish firm indicated that sales had been weaker than expected. One expert said it reflected the fact that public appetite for VR content was still very limited. In a statement, Nokia said it now planned to dedicate its efforts to developing smart health products instead, and would leave it to others to build on its work in VR. "The slower-than-expected development of the VR market means that Nokia Technologies plans to reduce investments and focus more on technology licensing opportunities," it said. "The unit aims to halt development of further versions of the Ozo camera and hardware, while maintaining commitments to existing customers."